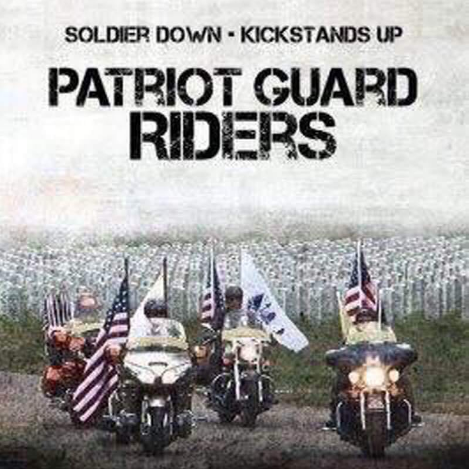 The family of MSG (ret) James A. Joyner has asked the Patriot Guard Riders to help honor their hero at his memorial service to be at the Becker-Rabon Funeral Home. James A. Joyner joined the US Army in Dallas, Texas in 1988 and began a long and distinguished career. MSG Joyner earned many awards and ribbons during his career to include: Afghanistan Campaign Medal w/2 campaign stars // Bronze Star Medal (2nd award) // Meritorious Service Medal 92nd award) // Army Commendation Medal (5th award) // Army Achievement Medal (8th award) // NATO Medal // Army Good Conduct Medal (9th award) // National Defense Service Medal w/ bronze Service Star // Global War On Terrorism Expeditionary Medal // Global War On Terrorism Service Medal // Iraq Campaign Medal w/ Campaign Star // Non Commission Officer Professional Development Ribbon (3rd award) // Army Service Ribbon // Overseas Service Ribbon (4th award) // Armed Forces Expeditionary Medal w/ arrowhead Device // Combat Action Badge // Distinguished Rifleman Badge // Driver and Mechanic Badge – Mechanic // Excellence in Competition Rifleman Badge. The family has asked that we accompany them from their residence to the Funeral Home Chapel and stand a flag line in honor of MSG Joyner. 1502 N.W Fort Sill Blvd. KSU: 1:30. We will follow coach to the residence to pick up family and accompany back to funeral home chapel. There will not be a graveside service or accompaniment to the cemetery. Flag line: Upon arrival of family and friends.